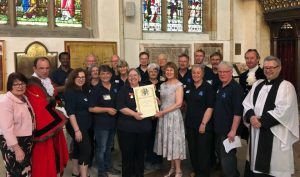 Julia Wakelam presents the award to the town pastors with the mayor of St Edmundsbury and the High Sheriff of Suffolk. Julia Wakelam with Jo Copsey and Brian Jones from the pastors. There are currently 95 volunteers from more than 30 churches – 35 town pastors and 60 prayer team members. 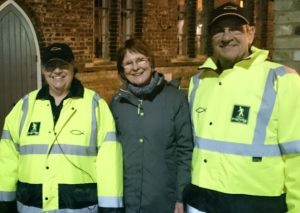 The Mayor of St Edmundsbury went on patrol with a group of volunteers who help keep people safe in Bury St Edmunds town centre during an evening. At the weekend, Cllr Julia Wakelam joined the Bury Town Pastors who offer a helping hand most Friday and Saturday nights from 10pm to 4am. She has also given them a £150 grant towards their running costs. She said: “Being out on patrol with the pastors was a real eye opener for me in terms of seeing just how invaluable their work is. Young people, and some not so young, benefit from the presence of the town pastors when they come into Bury town centre for a night out. 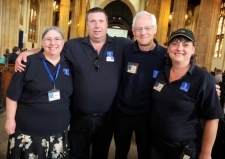 The pastors have been operating in the town since May 2008, and are made up of Christian volunteers from more than 30 churches in Bury and the surrounding area. In the year up to the end of March, they were involved in handling more than 6,600 incidents. Their work includes picking up and disposing of bottles that could be used as a weapon, calming potentially violent situations, and waiting with vulnerable people until their lift home arrives. The pastors have also alerted West Suffolk council’s CCTV service and the police to potential situations, while they have handed out foil sheets to keep people warm. One of the founders of Bury St Edmunds’ Town Pastor service has been honoured in the New Year Honours. 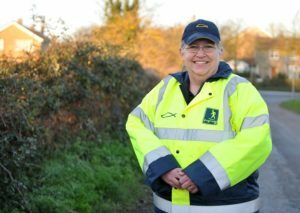 Jo Copsey, of West Row, has been awarded the British Empire Medal ‘for services to policing and community safety in Bury St Edmunds’. The citation says her efforts in recruiting, training and ensuring the scheme’s long term viability have been crucial. Town Pastors support people leaving bars and restaurants in the late evening who are vulnerable. Jo said: “It can mean they’re drunk or they may be vulnerable because they’ve become separated from their friends or are distressed. Jo and a few others had been looking at whether there was a need for a Town Pastor service in Bury. She trained with the Ipswich team and Bury’s town pastors’ first night on duty was May 2, 2008. She has since helped set up services in seven other towns. The 35 volunteers who go out in Bury are backed by about 60 in a prayer team. The volunteers come from about 30 Suffolk churches. Left to right, Jo Copsey, Alan Bury, Brian Jones, Sue Griffin. 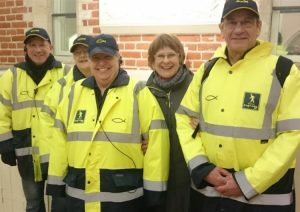 A SCHEME which supports those who are vulnerable on a night out in Bury St Edmunds has been celebrated at a special service. 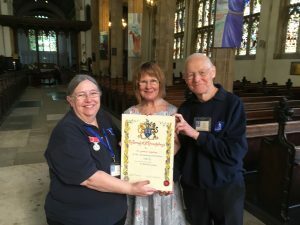 Five years of the Bury Town Pastors initiative was marked at a thanksgiving service at St Mary’s Church in the town on Sunday. Since May 2, 2008, the town pastors have been patrolling the club and bar areas of the town centre on Friday and Saturday nights between 10pm and 4am, wearing high-visibility yellow coats and navy blue caps or hats. They offer support to vulnerable people – who may be feeling the effects of alcohol – and, if possible, help them to find a way to get home safely. They also defuse potential trouble, which helps to make the town a safer place. The town pastors, who are supported in prayer while they are out on the streets, aim to be a positive presence by being friendly, non-judgemental and non-confrontational. Over the last five years the town pastors have helped people in more than 5,500 situations and ensured the safety of more than 450 people totally incapacitated by alcohol. They have removed more than 3,600 bottles and glasses – potential weapons – from the streets. They have also given out more than 4,800 Freddo chocolate bars and 3,400 bottles of water. The Bury Town Pastors has volunteers from 32 churches. Ric Groves, chairman of the Bury St Edmunds Pubwatch scheme, said: “The town pastors are a familiar sight on the streets of Bury St Edmunds each weekend and I have witnessed first-hand the service they provide and the professionalism in which they conduct themselves. Town pastors have been supporting people out on Friday and Saturday night in Bury over the Bank Holiday weekend. 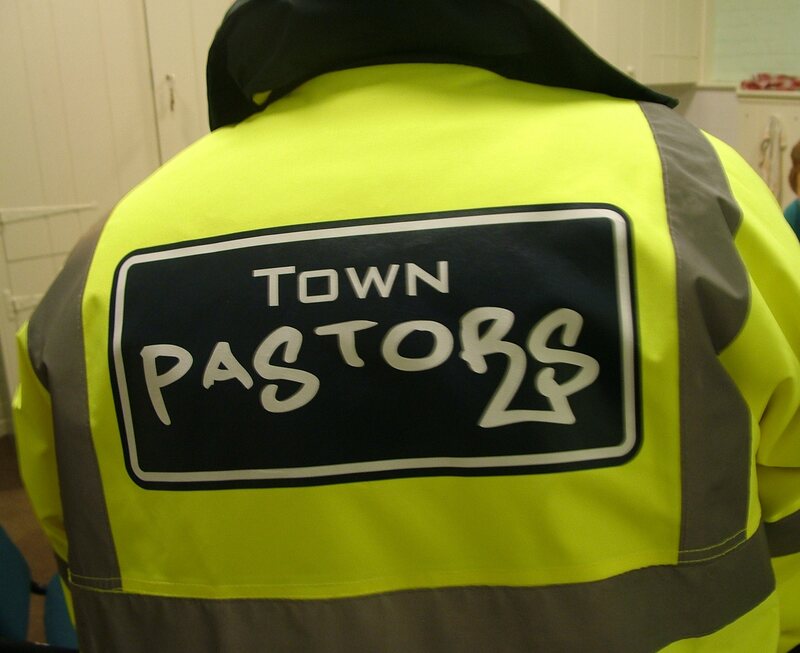 In Suffolk, the town pastors scheme began in Ipswich and has been followed by groups of volunteers across the county.